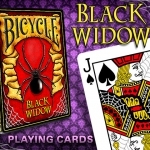 Four years ago, Justin Froyd and J.Gonzo (Jamm Pakd Cards) launched their campaign to fund the Black Widow deck. 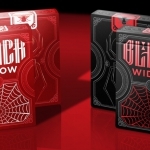 Although they did not have luck that time, the great magic and playing cards wholesaler, Murphy’s Magic, showed interest in the deck and it has become a reality: BLACK WIDOW. 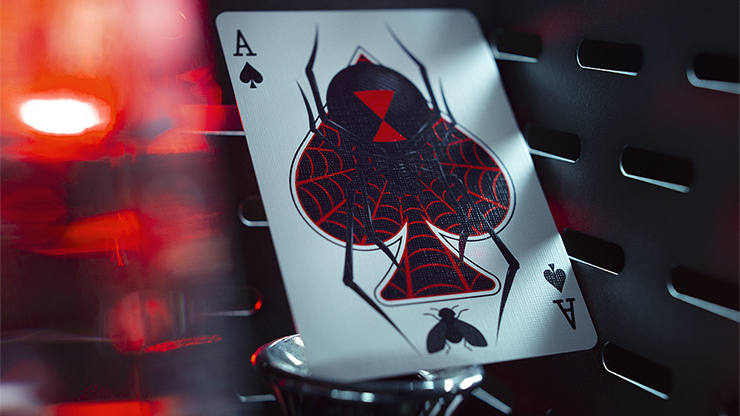 Inspired by the black widow spider, one of the most dangerous creatures in the world (but only for her husband), the deck has been conceived for magic and cardistry. Some changes have been made to the original designs although the essence of the deck remains. The black edition has been chosen from the two original decks to be printed. 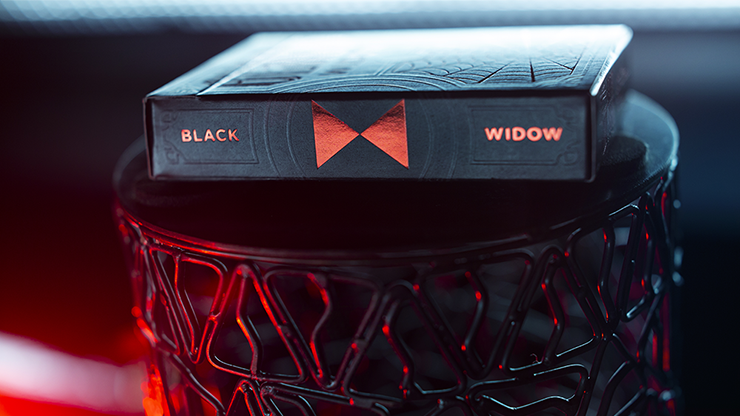 The embossing and the red foil create an elegant and mysterious aesthetic. 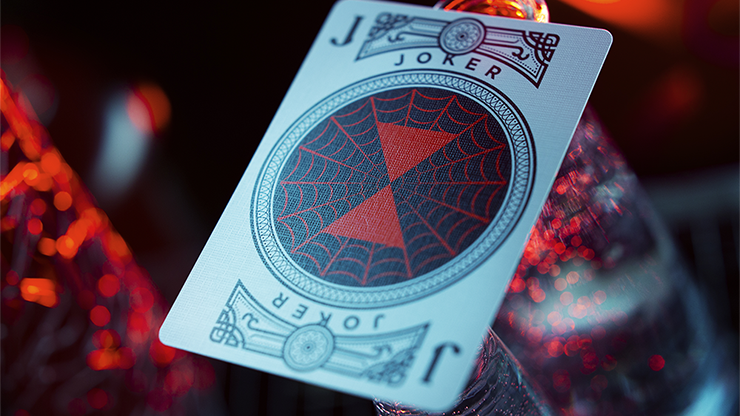 The ace of spades and the jokers have been customized with the arachnid theme while the court cards keep the traditional scheme with a subtle spider webs customization. 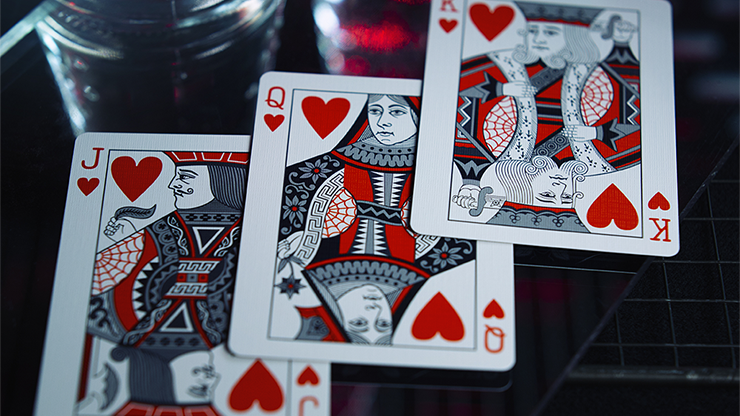 The deck has been printed by The Expert Playing Card company and since Murphy’s Magic is one of the main wholesalers of the world, the deck will be available everywhere in the globe. Furthermore, Justin has created a very special release edition that will delight collectors. 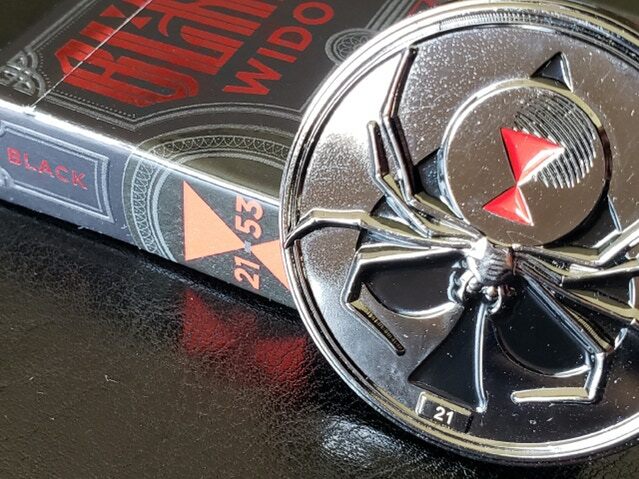 A total of 53 numbered commemorative coins (5+3=8 spider legs) have been made. 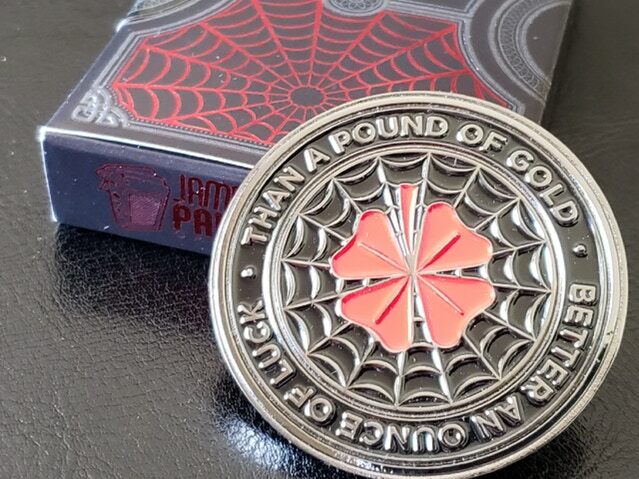 The coin will be offered in a set with a paired numbered deck. If you want one of the 53 numbered coin/deck sets, you can get it exclusively on Jam Pakd Cards official page. You can also preorder some extra decks here.